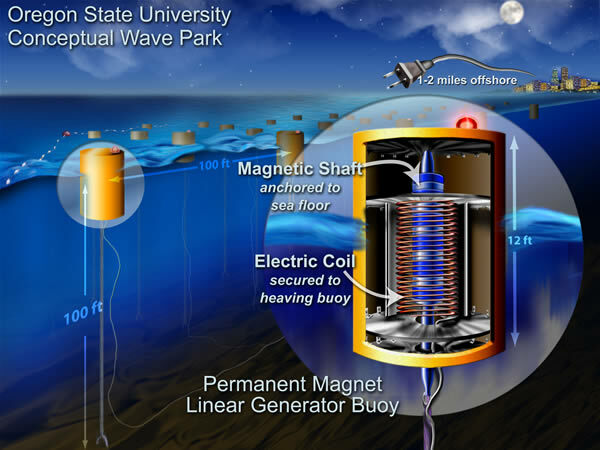 Why is the Northwest a promising area for using wave energy as a source of energy? 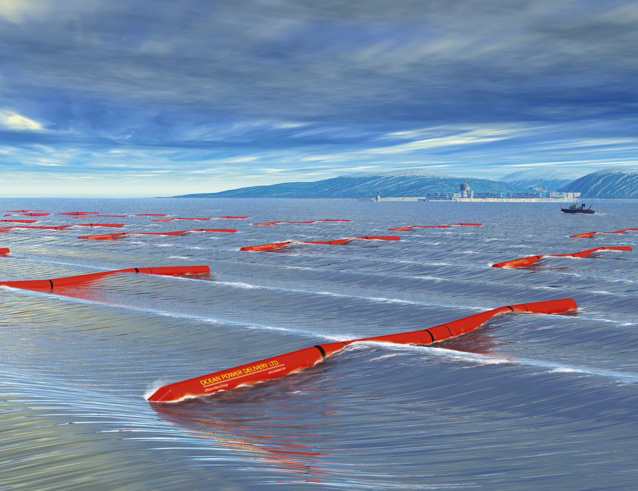 According to the US Department of Energy (Reference 8), the northwestern coast of the United States is one of the wave-power rich areas of the world. 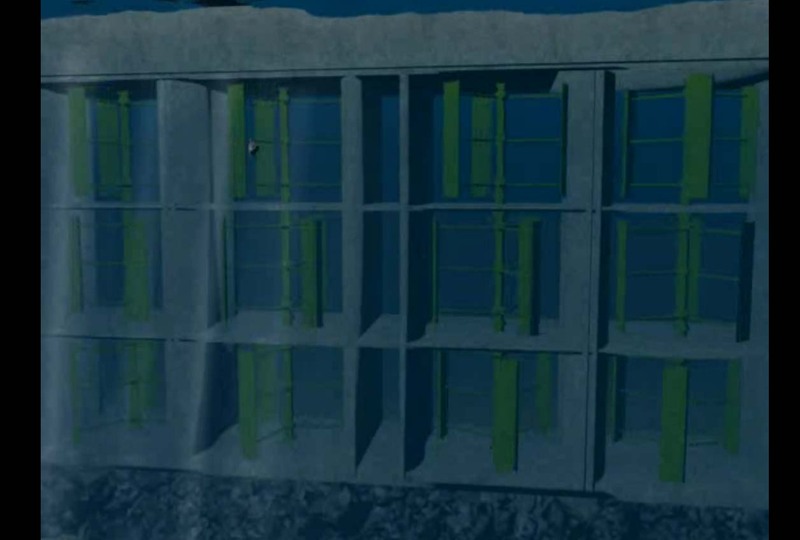 They estimate that wave energy could produce 40–70 kilowatts (kW) per meter of coastline, averaging about 1.6 Mw per 100 ft. The map below illustrates the energy generation potential of the US coastal areas. The ocean off the Pacific Northwest coast brings in most of the weather affecting the region and contains a lot of energy. The Oregon coast also has good access to transmission lines. 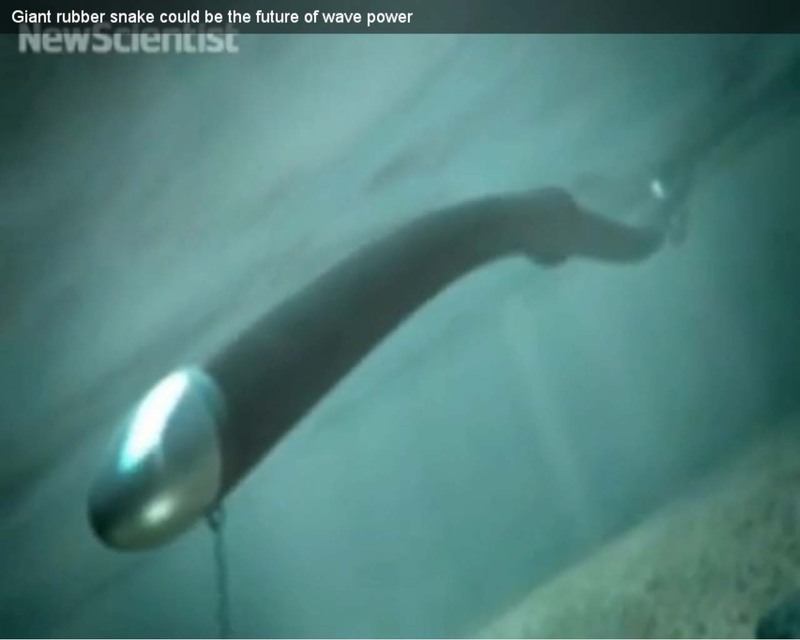 How does wave energy supply us with electricity? 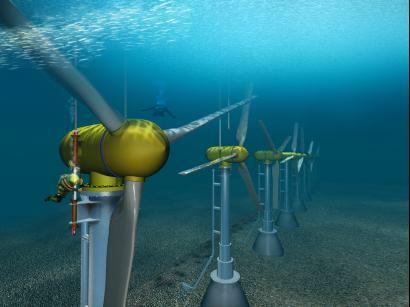 Generically, these devices take advantage of the vertical and/or horizontal motion of the waves to move a mechanical device that is connected to some type of generator. 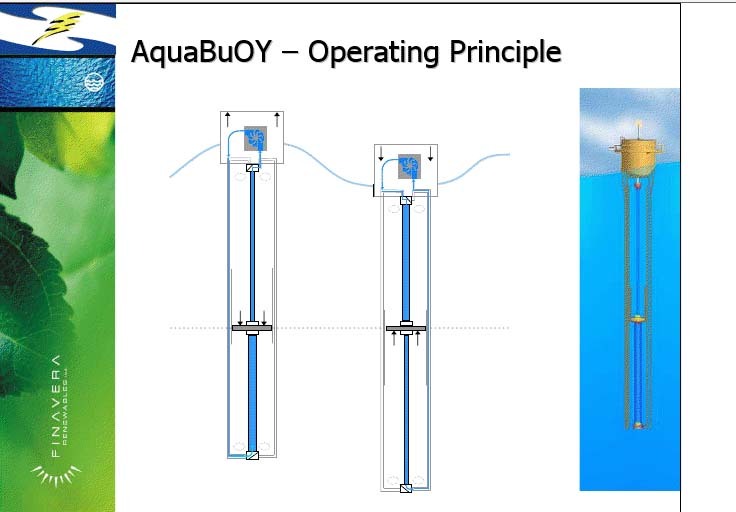 Figure 3 –AquaEnergy Group Ltd.
As the tide flows in and out, water level becomes uneven on either side of the dam. 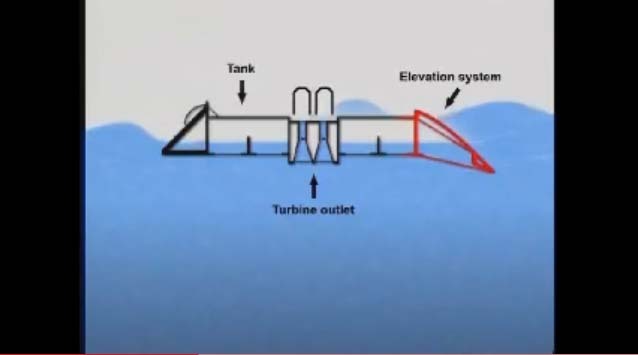 The higher head side is then used to direct the collected water to low head turbines for generating electricity. To be effective, the difference between high and low tides should be at least 16 feet. 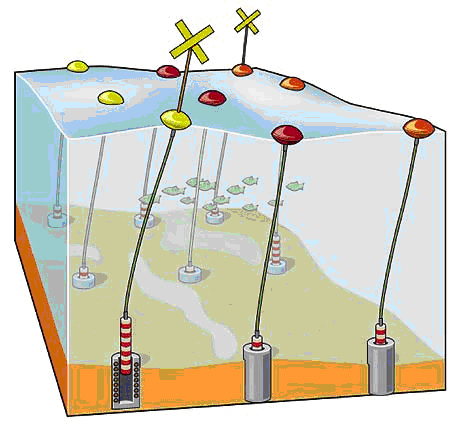 (References 3, 22) Click for animation illustrating principle.